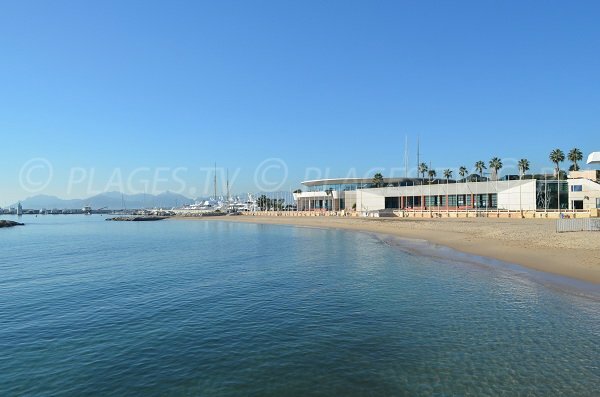 Palais Festivals Beach in Cannes is located between Croisette and the harbor. 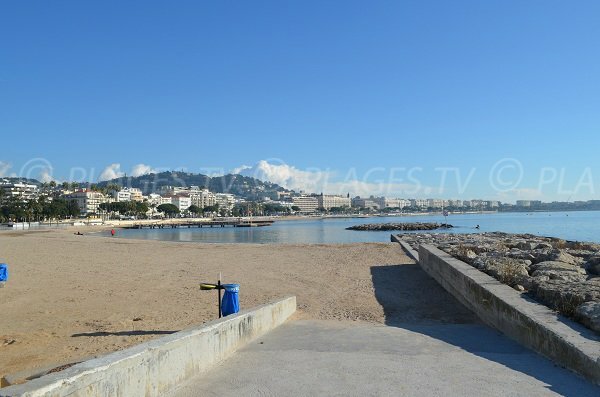 It's one of the rare public beaches downtown and on the Croisette area. 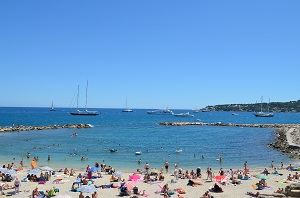 It's the most central beach, but depending on the time, it is occupied for events (Cannes Film Festival or electronic beaches in July and August). 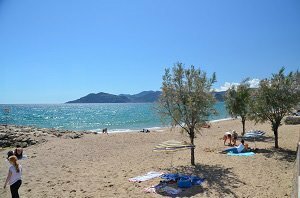 It's one of the most agreeable beaches in Cannes with more than 150 meters of sand. 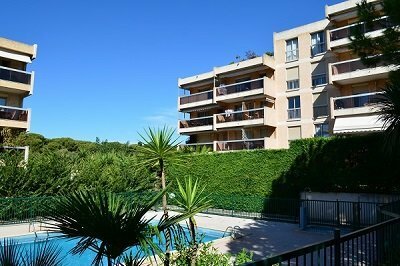 The slight hill is ideal for kids who want to swim. 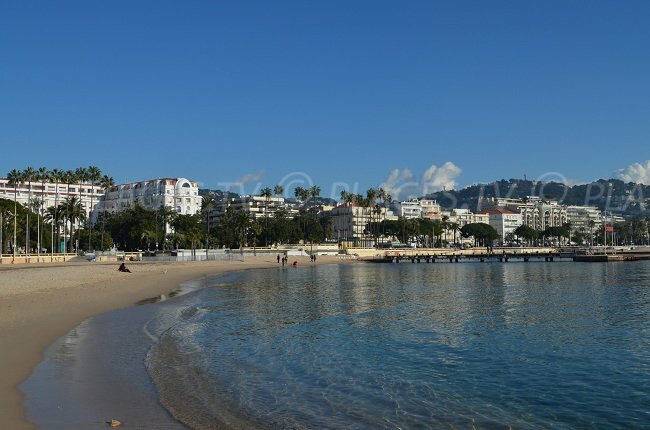 Being close to the center of Cannes is quite nice and it has many shops. 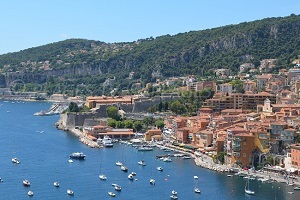 The only downfall is that you have to pay for all the parking lots, and they are expensive (about 2.70 euros/hour). 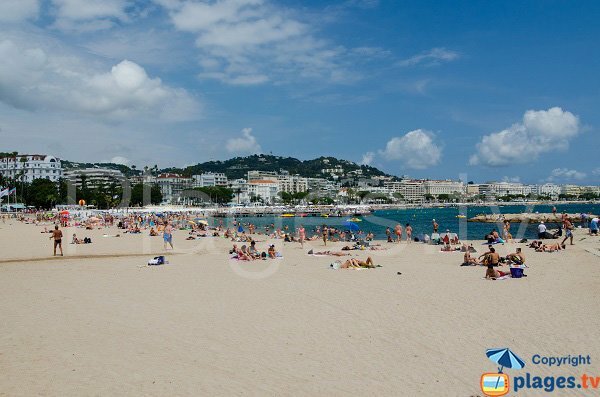 To find this beach, when you arrive in front of the Majestic, direct yourself toward the Palais des Festivals, then just before it turn left (you'll travel along the palace). 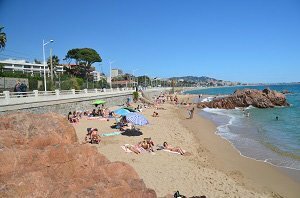 The beach is on the left and extends to the dam where there is a ramp for handicap access. 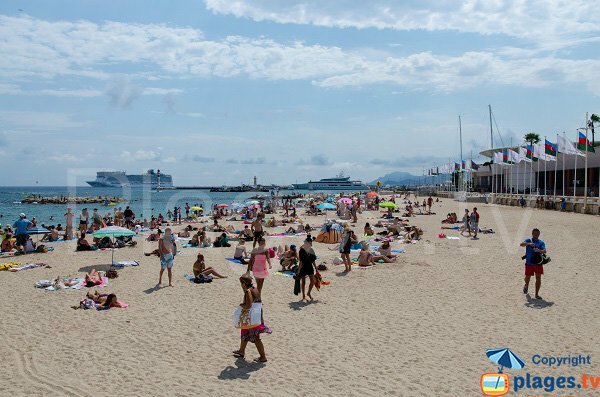 This public sand beach in Cannes is the most central in the area, across from the Palais des Festivals. 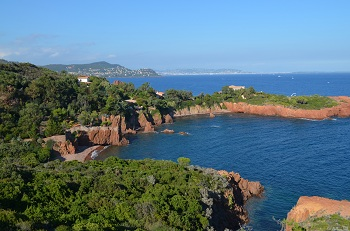 From this beach, we have a nice view of the Bay of Cannes, but also of the Majestic Barriere which is on the right. 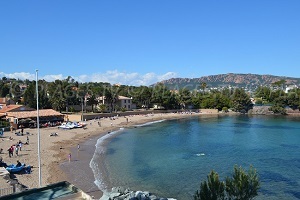 At the other end of the beach, we can see the Cannes harbor and the Esterel massif in the background. 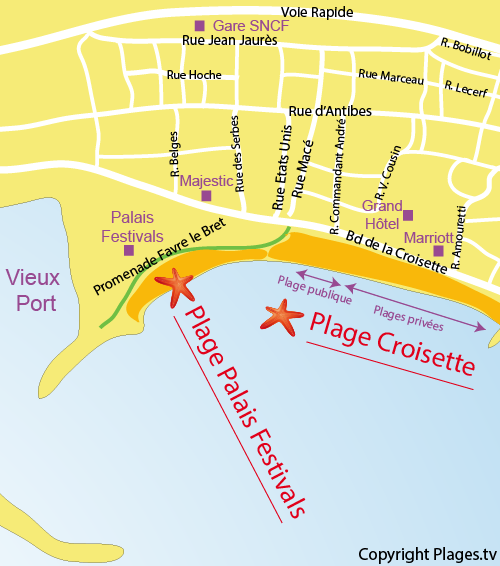 The palais des Festivals faces the beach directly. 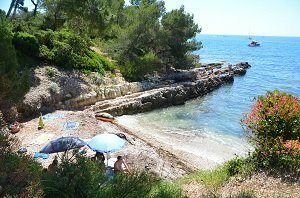 At the end of this beach there is a ramp providing handicap accessibility (the side of the harbor). 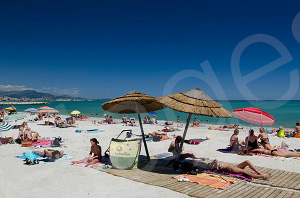 In the summer (end of July), this beach is very crowded but it is possible to find a place. 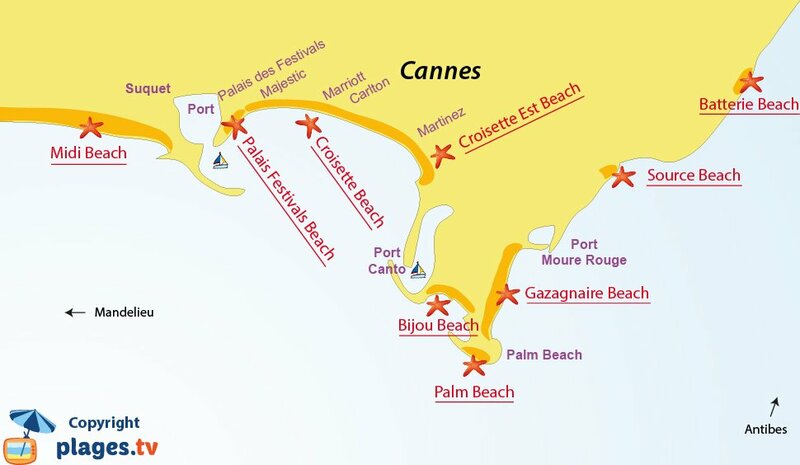 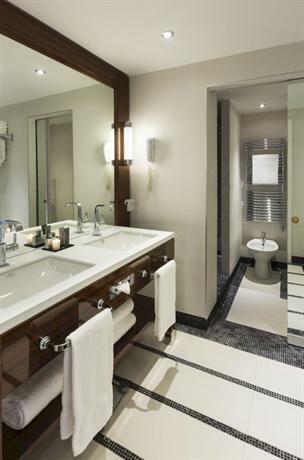 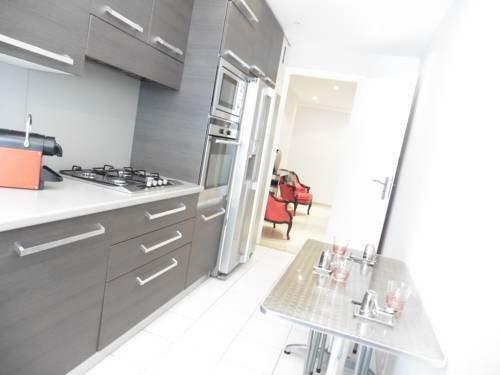 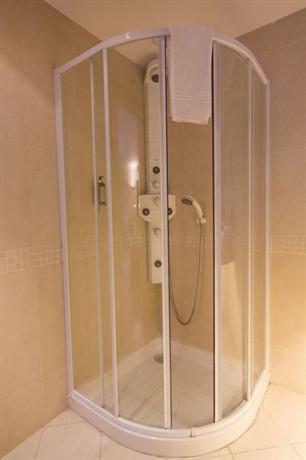 On the edge of the beach we have a global view of the Croisette and the different private beaches and grand hotels. 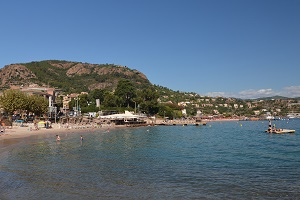 In the summer, at the edge of this beach we find private beaches with restaurants directly on the sand.